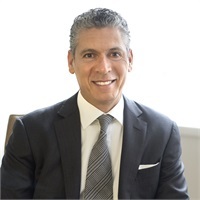 Howard is a Managing Partner for Wealth Advisory Group (WAG), a New York based Guardian® Agency whose long history of success dates back to 1933. He has been with the firm and Guardian® for more than 30 years. WAG now has more than 140 Associates and has offices throughout the tri-state area. After graduating from the University of Massachusetts-Amherst with a major in economics, Howard joined Guardian®, serving as a Financial Representative from 1984 to 1998. He was also a Sales Manager with the company from 1987 to 1998. Since Howard became the General Agent of Wealth Advisory Group in 1999, the agency has won numerous Guardian® awards. As a member of the General Agents and Managers Association International (GAMA) since 1993, he has received numerous industry awards, including the Master Agency Award and National Management Award. Howard joined GAMA’s Board of Directors in 2008. In 2013/2014 he was elected and served as President of the Executive Committee of GAMA International. Howard has been a supporter of the GAMA Foundation for Education and Research and the Life Foundation for many years. In addition, Howard is a member of many other industry associations, including the National Association of Insurance and Financial Advisors (NAIFA) and the Association for Advanced Life Underwriting (AALU). He is a Life and Qualifying member of the Million Dollar Round Table (MDRT), also qualifying for MDRT’s prestigious Top of the Table from 2012 -2015. Howard lives in Manhattan with his wife Jamie. He loves to fish and practices Yoga in his spare time.